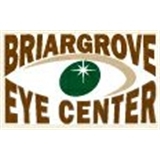 Briargrove Eye Center (Houston) - Book Appointment Online! Everyone at the office is friendly and engaging. Dr. Muldoon made me feel comfortable and educated me on how and why my eyes changed.